I have gotten my password! Awareness in autism is essential. 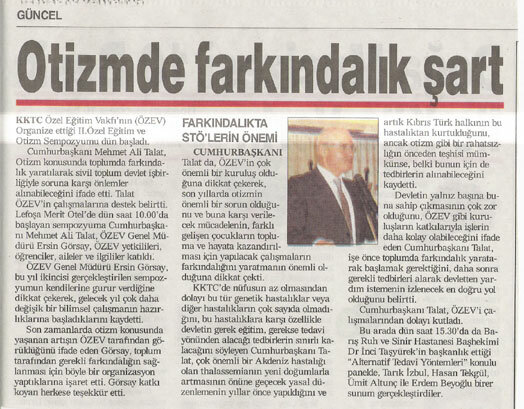 Kibris dated 10th March 2010, “a TDP delegation headed by Mr. Çakici visited the Special Education Foundation (SEF)”. Yeni Düzen dated 18th March 2010, The mayor of Nicosia, Mr. Bulutoglulari visited SEF. Kibris dated 12th February 2010 “they gave information about ISECO Conference and asked for contribution”. 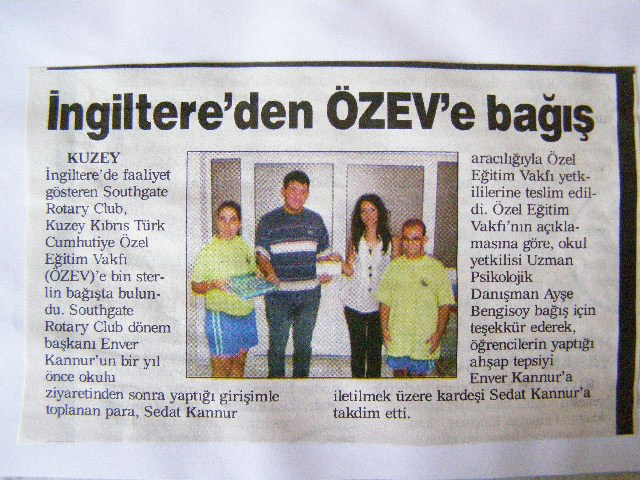 Yeni Düzen dated 16th December Wednesday, “Income of Carmina Burano has been donated to SEF”. Star dated 11th December 2009 Friday, “Young pianists played for SEF”. 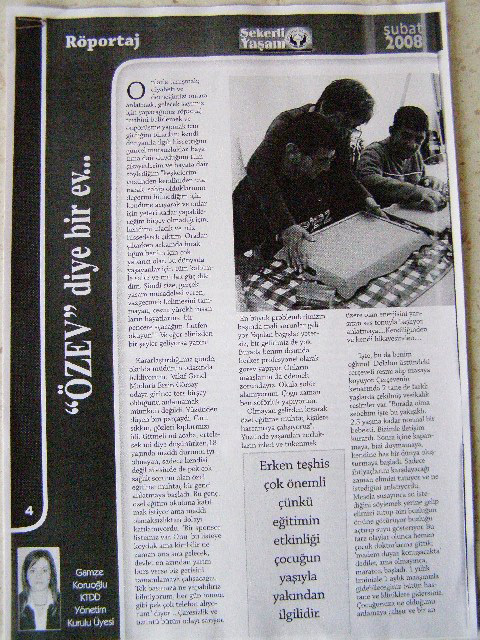 Star dated 3rd December 2009, “Statement for the International day for the persons with disabilities”. 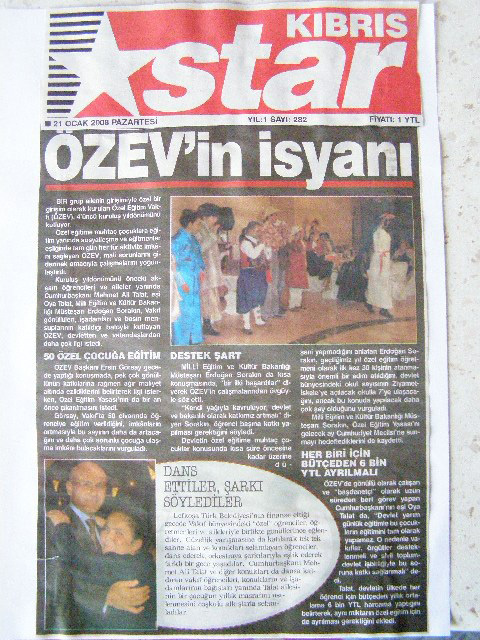 Star dated 29th October 2009, “A visit by the Special Education foundation to Mr. Fakili, the Turkish Ambassador to Nicosia”. Kibris dated 25th September 2009, “the 5th foundation day of the Special Education Foundation was celebrated”. 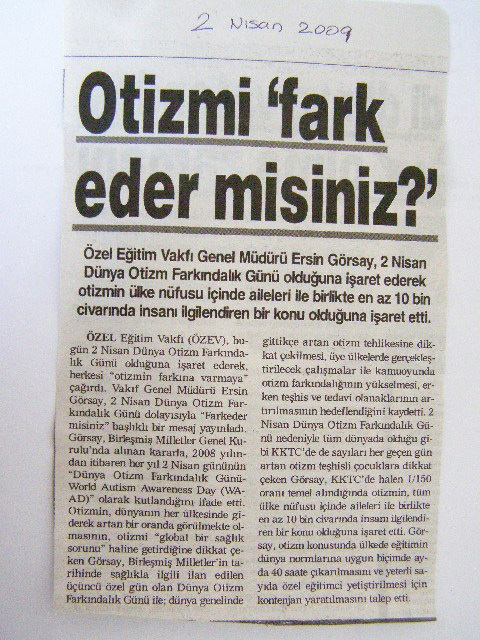 Kibris dated 24th August 2009, “SEF, Special Education Foundation has been a guest to the Municipality of Gonyeli”. “SEF attended the 18th national Special education Symposium”. 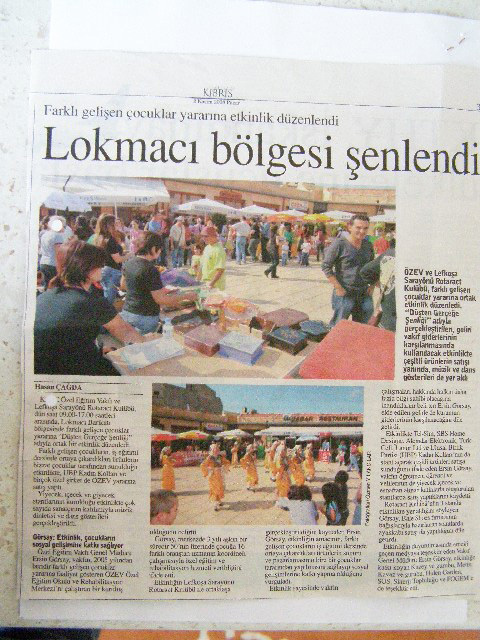 “The region of Lokmaci livens up”. “A Thanking Visit by FES Delegation to Mr. Bulutoglulari”. FES Received the Reward of “Contribution to the Social Development”. “The year of pride for SEF”.